Today through "Giving Tuesday" (December 2nd) I'm offering $5 off a $15 or more purchase in my Etsy shop. Use the promo code THANKSGIVING at checkout. 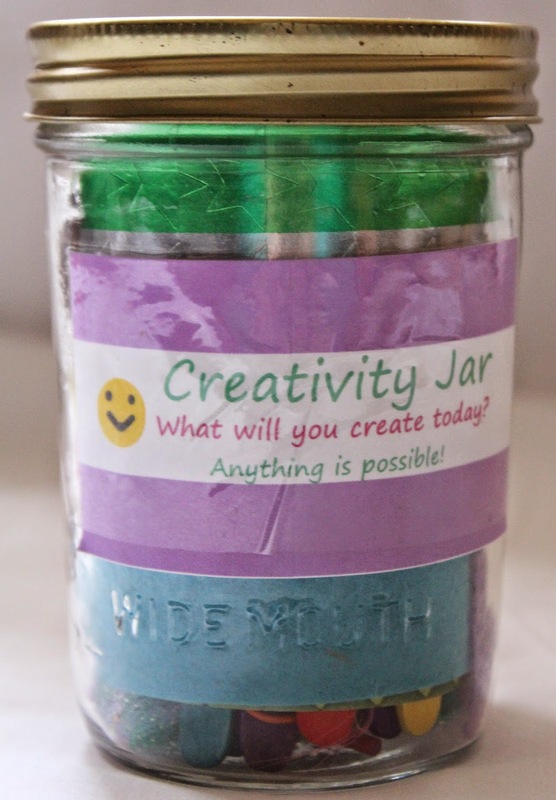 I just put together a Creativity Jar. 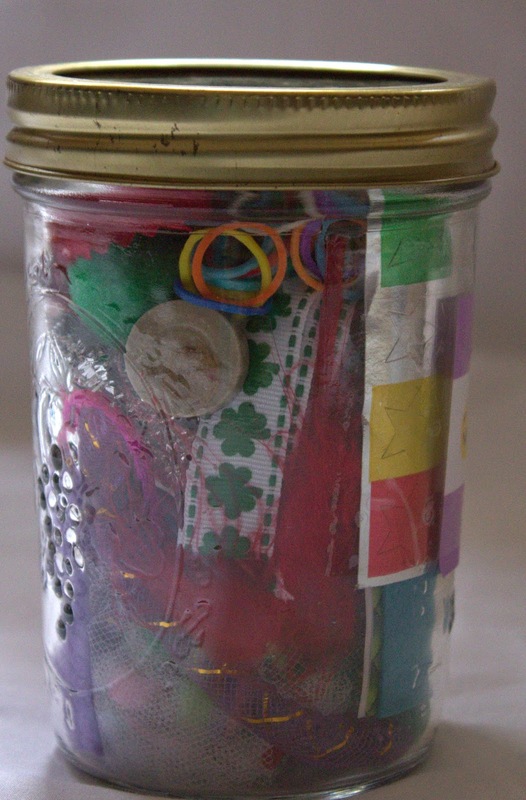 It's a mason jar filled with small craft items: pipe cleaner, clothes pin, fabric squares, ribbon, puff balls, stickers, beads, craft sticks, rubber bands, etc. 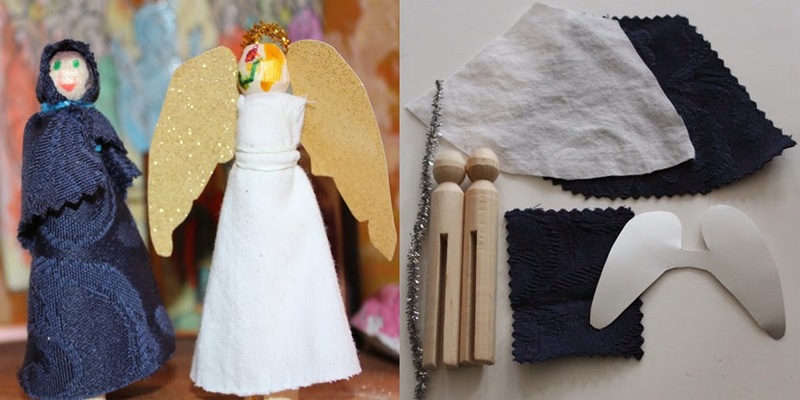 It is meant to spark kids' imagination and encourage them to be inentive and create art or other things. 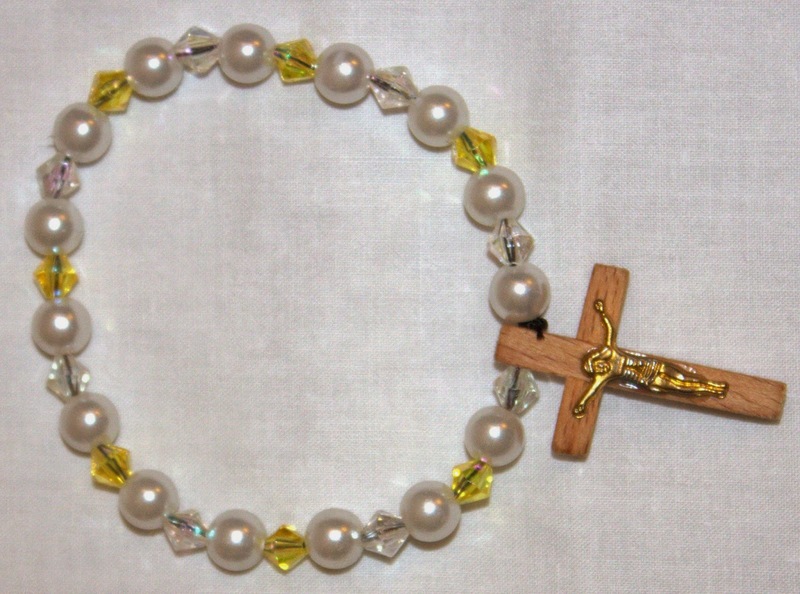 This one will be part of a Christmas present for an 8 year old girl. Hummingbird designed the label; it might change. I'm wondering if it's something people would buy something like this and if so how much one would be willing to pay. I would love your input. Bumble Bee is set to start Kindergarten next year... but despite doing well on the classical selective enrollment test, she has been waitlisted or not accepted to 12 magnet and gifted schools in Chicago. Too many parents are no longer moving out to the suburbs when their children reach school age! The competition is fierce for the classical/gifted schools, and the magnet schools are based on random lotteries. Our neighborhood school is a level 3 school, which means it's a failing school, at the bottom of the heap. I'm not thrilled about the idea of sending her there. Chicago has one public "virtual charter school" (homeschooling with the help of CPS). I thought I would do that, but even there she's number 48 on a waitlist. So, I'm thinking about doing homeschool with her. Illinois is amazingly lax about requirements, and she's not even legally required to be in school until she's 7! I was reading up and found a program based on Charlotte Mason's ideas of teaching. I rather like what I was reading about this program's curriculum. I also saw, however, that there is an Orthodox online school, St. Raphael's I think it was. It seems like it would need to be supplemented. Anyway, I know that lots of you out there homeschool, and I would love to hear about what has worked and not worked for you. 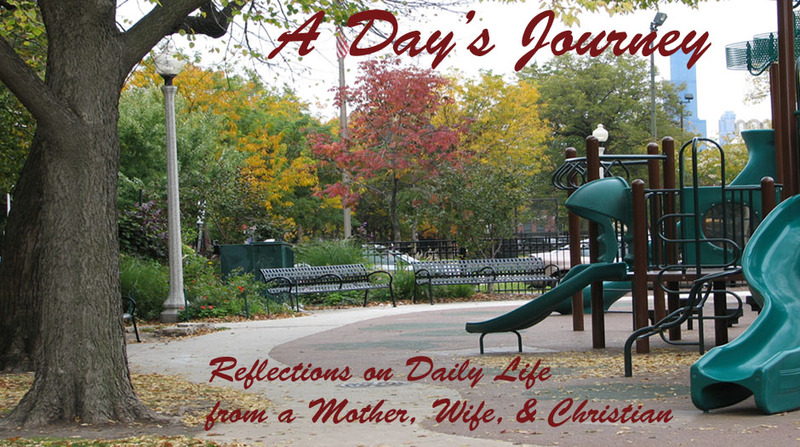 Over the years I have picked up activities here and there from your blogs to use in our down time. Now, I'd like a little more guidance on putting it all together and having a unified curriculum. It is not often that our entire family is struck by uncontrollable laughter, but at dinner tonight we all found ourselves infected with giggles. Hummingbird was telling us about a book she was reading in which the main character cut herself while shaving her legs. After describing how disgusting it was, she said, "I don't ever want to shave. Do I have to shave my legs?" Raucous laughter ensued from the girls, and DH and I began laughing, too. Through her laughter Hummingbird tried to ask, "Why would you let Dad see your legs and no one else?" I realized that I was on the verge of opening a can of worms I did not intend to open. Trying to avoid the Birds and the Bees talk I answered something like, "Dad thinks my legs are pretty, so sometimes I show them to him." Enough to silence any further questions, and everyone's laughter eventually calmed. It was nice to have a moment of full family enjoyment, and it was nice to end with my children still as innocent as ever. Tucked away in Lincoln Square is the best pizza place in Chicago. 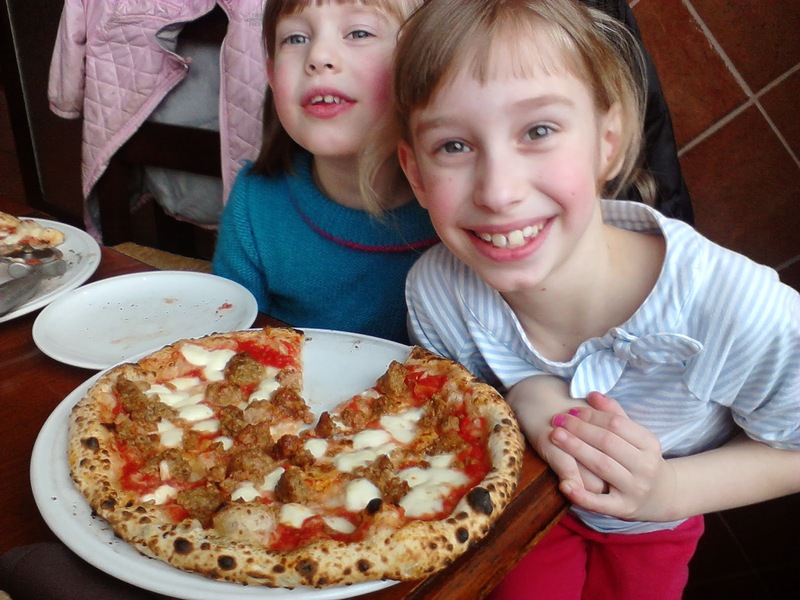 Spacca Napoli (located at 1769 W. Sunnyside) serves up authentic Neapolitan pizza. The owner Jonathan Goldsmith and his staff are on the ball, super friendly, and ensure that you will have a great meal and a great time. As you walk in the door, you can't help but notice the custom-built brick oven. The kitchen is right there for you to see. My daughters love watching the guys make the pizzas. Once the pizzas hit the oven they are ready in 60 seconds! We have eaten here often because there is a great selection of both vegan pizzas and meat-lovers' pizzas. Yesterday a friend invited us to lunch, and we headed over to Spacca Napoli. It had been awhile since our last visit, but Spero, our waiter, remembered us. He was super friendly answering questions about the Italian liquori and wines on the drink menu. Our friend is a consummate wine connoisseur with fabulous taste and extensive knowledge, but there were many wines on the list of which he had never heard. All of the pizzas were delicious, and we came home with plenty for lunch and an after dinner snack. 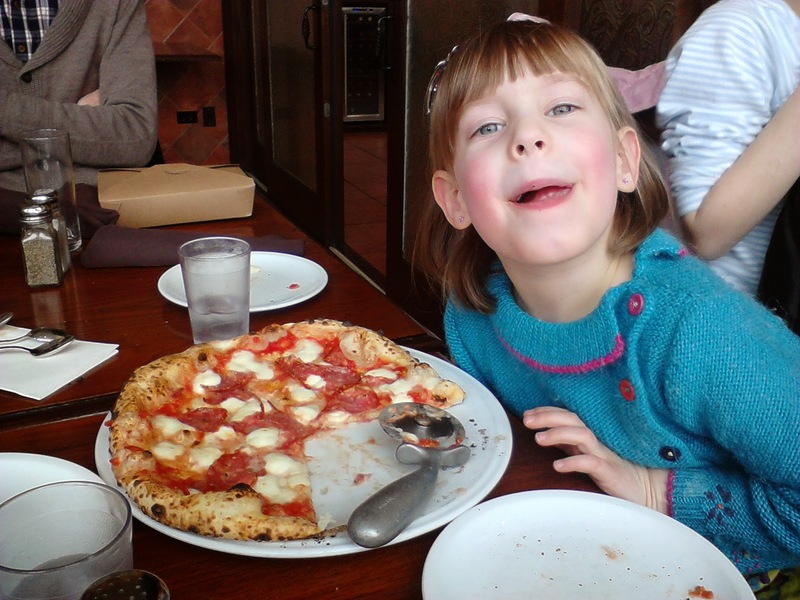 So, if you're looking for great pizza (in Chicago) with a kid-friendly atmosphere where adults are also sure to enjoy themselves, then Spacca Napoli is waiting for you! It's Snowing in Our Room! Or so the kids thought when they woke up this morning. There was frost on the windowsill from the extreme cold (or the poor insulation of our apartment). Since the girls and I returned from a brief Christmas visit in Louisiana (where we left our coats in the trunk of the car the whole time! ), we have been experiencing lots of snow and now the extreme cold. Last week we had so much snow that we began building a snow fort (I can't shape a ball to make a snowman to save my life). The first day we made the foundation, using large buckets to build it like a sand castle. When I tried to add a second layer on one part, it collapsed. I hadn't packed the snow well enough, I suppose. Then it snowed over night, which both shrunk and strengthened the foundation. Later, we managed to add a second layer, and I had the girls pack snow into the crevices for strength. Friday, we began a third layer on one wall. Then, on Saturday our neighbor took them to play in the yard so the work stopped. Apparently, I'm the one who is really interested in building a snow fort. 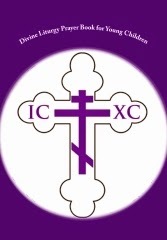 Sunday we worked our way to church for liturgy and blessing of the waters (for the first time in his 40 year priesthood, our priest canceled evening and Monday services because of the weather). By the time we got home, temperatures were starting to drop, and we stayed inside. Yesterday while DH bundled up in all his old cold weather biking gear to walk to the bus and train for work, I enjoyed not having to wait in the cold for an hour for a school bus to arrive late. The girls enjoyed a rare (but becoming more common) CPS snow day. Of course, I had no desire to go out yesterday, and Hummingbird's winter gear especially needs some new pieces if we're to venture out with subzero temperatures. So, we played (and worked on a school project!) inside and looked out the window to see the snow fort shrinking. I don't know if we'll get back out to renovate it or not. I'm sure by now if you've kept reading this far, you're thinking where are the pictures? Shouldn't she be showing off the fruits of her work? Well, the pictures are on my PC, and the other side effect of this extreme weather is extreme electricity prices. You see, this summer we decided to try the real-time pricing plan because we happen to have a smart meter installed, and past trends suggested that with our electricity habits, we could save a fair bit if we actually used the smart meter. At times in the past few months, real-time electric have fallen to $0 (not sure how that really works). Yesterday they were skyrocketing. By 4:00PM they reached $.48/kWh, by 7:00PM they were topping $1, and upon waking this morning, they were at $1.71/kWh! We get alerts and can watch the trends, so when DH came home I had everything off except the computer and one lamp (with a cf bulb). He turned off my computer and unplugged everything we weren't using to prevent vampire currents. He did turn on the energy efficient Macbook, which I'm using now. While the girls played with our downstairs neighbor, I cooked a quick dinner turning the kitchen lights on to get it done and then let the family eat in the living room with our most energy efficient lamp. The girls really wanted to watch TV with dinner, but even our new, also energy efficient TV felt too expensive to splurge on then. So, we went retro for the night with no TV, and almost no electronics. After dinner I put Bumble Bee to bed (it was her a bit later than her usual bedtime anyway), and she went with no arguments! Then, Hummingbird and I sat and read our books while DH did some work on the mac. Although they felt a bit deprived and low without all the gadgets on, it felt rather nice to me. As we read, we shared parts of what we were reading, and paused for conversation from DH. Without the pull of email and the internet, I even read the entirety of a book my mother gave me for Christmas (Thanks, Mom). We're keeping most of the electricity off today, too. The kids and I will do some Scratch programming on here later this morning, and then try to start my car for a run to the grocery store -- we're out of milk, bread, and eggs. I'm sure we'll do more reading and crafts, maybe even play some board games today. We'll do all the fun things that don't use electricity. Oh, and in case you think I might be freezing my kids out, no need to worry; we are running the gas furnace non-discriminately. From the freezing Midwest, I wish you all a warm day, and I promise to post pictures of the snow (both inside and outside) as soon as people stop using their space heaters and my electric rates drop!